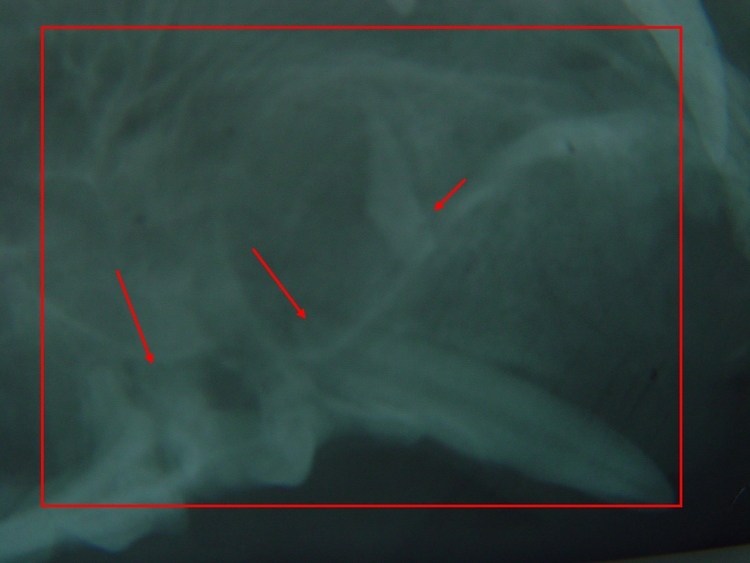 Surgical biopsy, radiographs, and CT scans can give insight into the destructive properties and prognosis of the tumor. 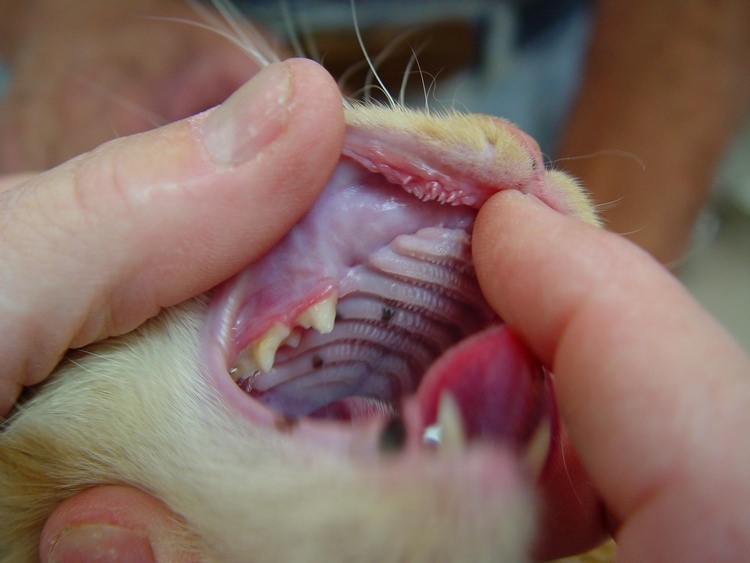 "Topsy," a one year old feline tabby, was referred to our dental practice for evaluation and surgical removal of an oral mass. 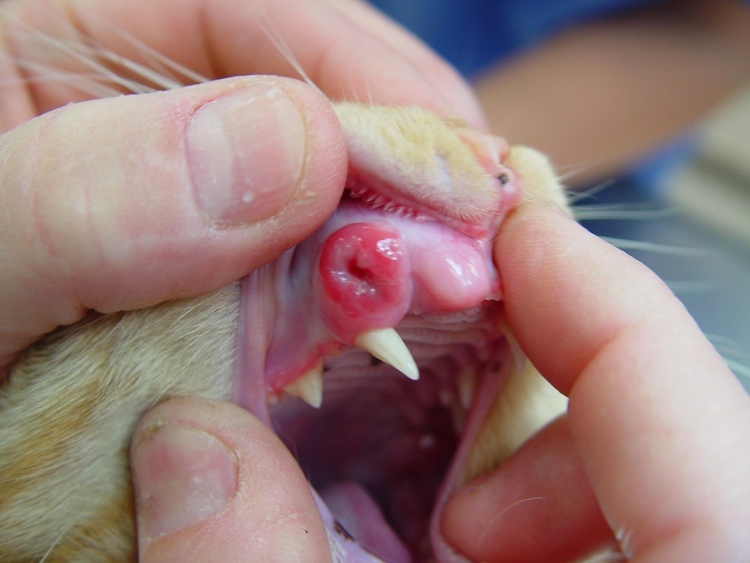 The referring veterinary practice completed a tissue biopsy and a diagnosis of ameloblastoma was confirmed. This type of tumor is usually benign, however it can be locally invasive and highly destructive. 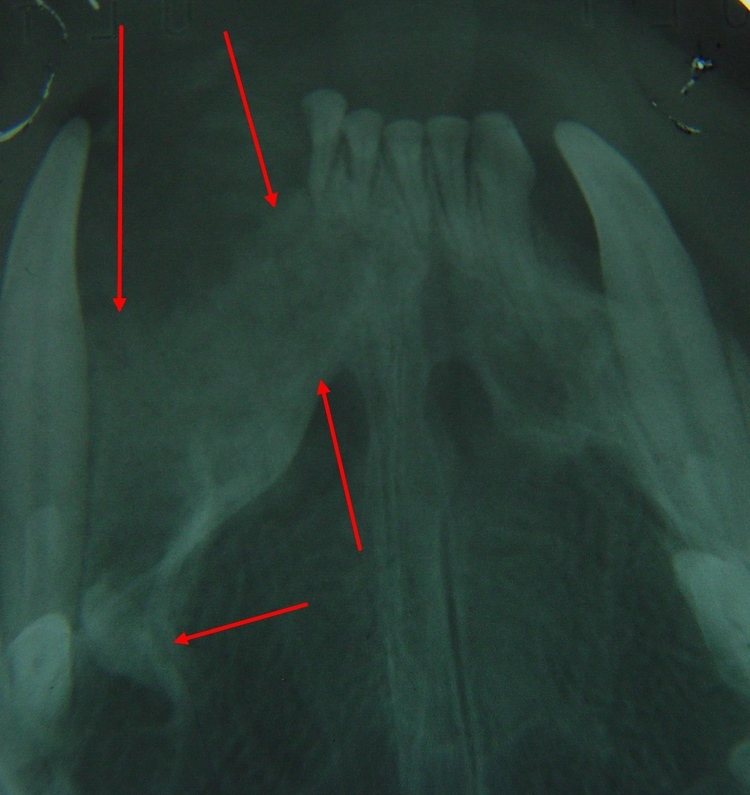 Gingival (Gum tissue) elevation , careful removal of all affected bone and surrounding tissue. G/ elevation : High speed water cooled drill. 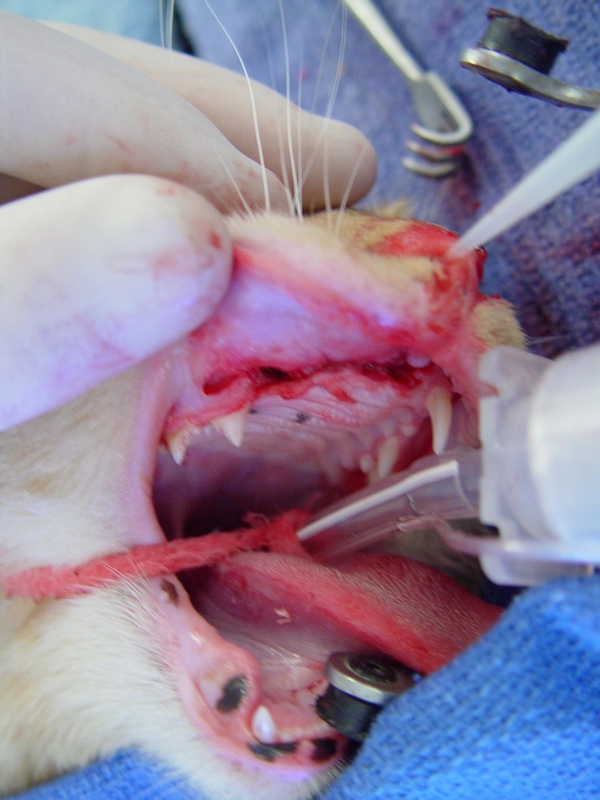 Care should be taken to incorporate wide margins and not enter the nasal chamber. 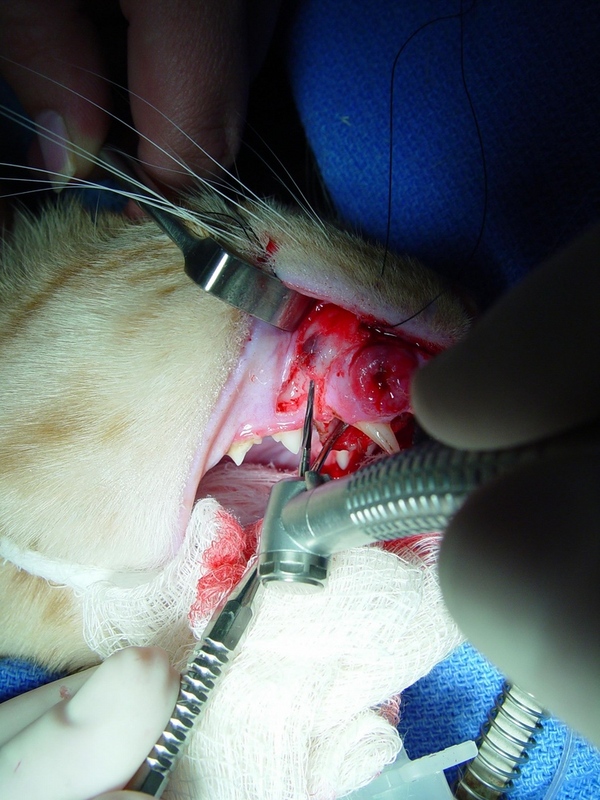 Complete removal of tumor, affected bone, and surrounding tissue. Tissue apposition / Intra nasal catheter. At "Topsy's" two month recheck he appeared very comfortable. 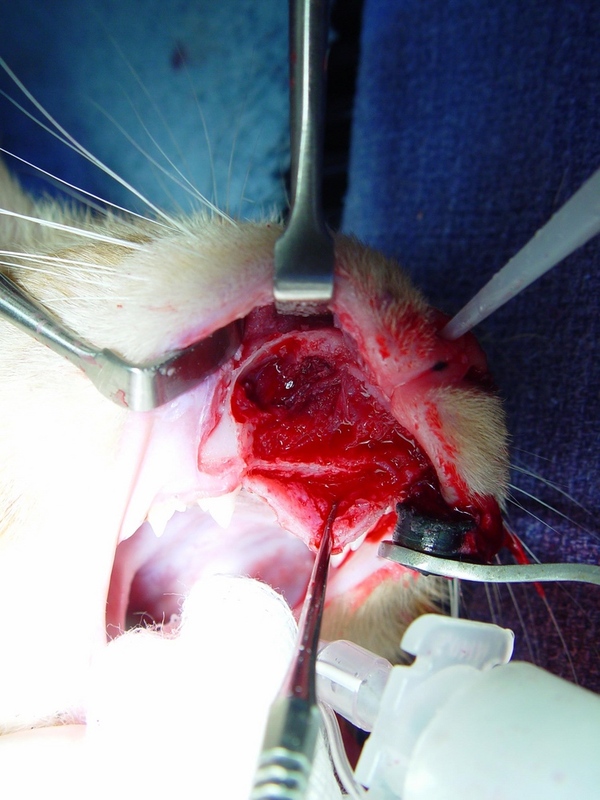 Complete excision of a this type of tumor will reduce the chances of reoccurrence. "Topsy" continues to do well.